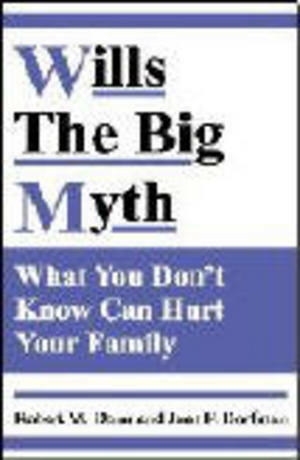 Wills—The Big Myth differs from other books about Wills in that it dispels common misconceptions that impede effective estate planning. It offers a primer on the function and limitations of Wills, exposes common problems that many families have faced due to those limitations, and focuses on other common myths that are associated with estate planning. Robert Dunn's philosophy about estate planning evolved through years of attending professional seminars, self-education and working with clients to design and execute their estate plans. He came to realize that many well intentioned but misinformed parents were protecting their families with Wills that were either worthless pieces of paper or that would accomplish considerably less than they expected. Although there were numerous estate planning books, the word was not.